A new digital humanities minor at the UO is giving students an edge in a rapidly growing interdisciplinary field that is putting a high-tech shine on what some perceive, often incorrectly, as a rather musty realm of scholarship. 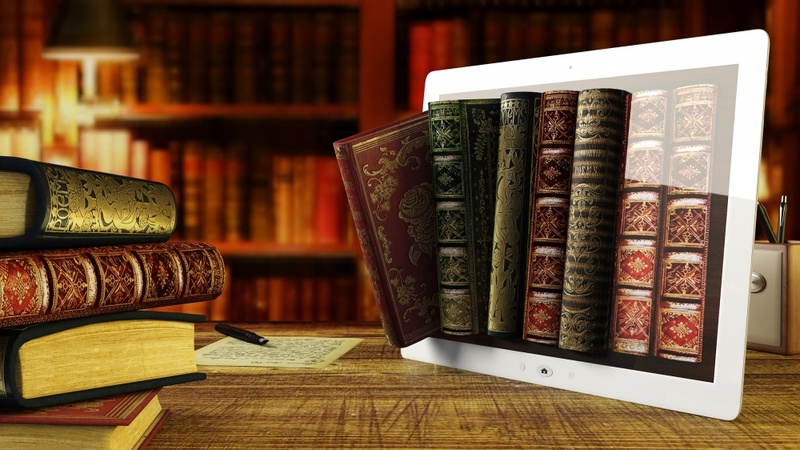 “Digital humanities empowers faculty and students to expand their examination of traditional research materials through newer technologies,” said Heidi Kaufman, associate professor of English and a UO Libraries digital humanities fellow. Kaufman has been instrumental in the creation of the new digital humanities minor. She believes the application of data visualization and analysis, digital publishing platforms, and digital archiving and mapping tools are all revolutionizing studies in the humanities. It’s a good time to add the discipline to the UO’s roster of minors because the vast majority of this term’s first-year students have never known a world without smartphones and Google. They’ve used digital tools and technologies to assist them with everything from navigation to stargazing to reading books. When Kaufman saw the power of digital humanities, she attended workshops and learned how to integrate digital technologies into her work in 19th-century literature. Earlier this year, she worked with students to launch a website that showcases a multimedia diary of British author A.S. Lyon. Through this project, undergraduate students in her class used digital tools for annotation, mapping and web-based text analysis. The new minor will provide students with similar opportunities to create websites or work on digital editions of texts. Students can choose from more than 20 courses across many disciplines including philosophy, geography, computer science, environmental studies, cinema studies and English. For example, they can take a geography course that considers how geospatial data is transforming narratives about relationships between humans and the Earth, the environment and society. Or they can take a cinema studies course that builds a digital map to study the history of film and theaters in Oregon, or a sociology course that uses digital tools to mine mass media texts to study advertisements, news broadcasts, documentaries, popular music and television. Students will need to pass six courses, including two required courses, to complete the minor, which will be housed in the English department. One of the courses will equip students with a digital humanities toolbox by teaching them how to use a core set of tools and platforms that can be used to study and build digital projects. The second course will allow students to complete a digital capstone project of their choosing. The minor will give students experience using digital tools and platforms that are common in academic fields and the public sector. Kaufman hopes the courses will help students build a portfolio that can showcase valuable skills and position them as competitive candidates in an increasingly digital job market. Outside of the new minor, faculty and students have plenty of opportunities to learn more about digital humanities, including a Digital Humanities Speaker Series, “Why DH? Why DH Now?” and digital humanities workshops run through collaborations among library faculty through the Digital Scholarship Center.